is a beautiful ornamental grass that completes any well-kept lawn! 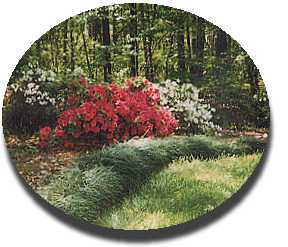 Mondo Grass multiplies by root separation to extend any garden border. It flourishes in most climates and thrives in sun or shade! Our Mondo Grass has been a family tradition for generations. Dating back to the late 16th century, a romantic legend has been told how this grass has been a part of our heritage for years.